The hit chapter book, now in paperback! The first in a delightfully funny and magical chapter book series perfect for fans of Ivy + Bean, Amelia Bedelia, and Dory Fantasmagory! Polly loves words. And she loves writing stories. 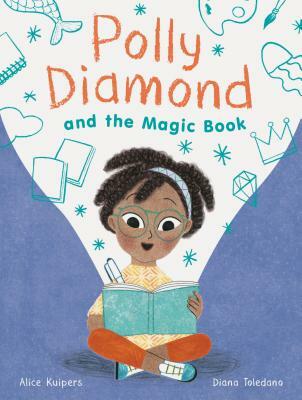 So when a magic book appears on her doorstep that can make everything she writes happen in real life, Polly is certain all of her dreams are about to come true. But she soon learns that what you write and what you mean are not always the same thing! Alice Kuipers is the author of 8 books for young adults and children that have been published in 34 countries. She lives in Canada. Diana Toledano grew up in Madrid, where she studied art and art history. She lives in San Francisco.